How can the arts illuminate the STEM field, or the other way around? As a biology, engineering, and geometry teacher at a public arts school in Boston, I explore this question daily. In fact, we math and science teachers at Boston Arts Academy call ourselves the STEAM team, which stands for—you guessed it—science, technology, engineering, arts, and math. Many people might wonder why teachers would bother integrating the arts with STEM. I do, too, especially when we’ve seen so few examples of deep arts integration in education. After all, how much does a student really get out of making a pretty poster or reciting a rhyme? As an artist at heart, however, these questions percolate a little longer in my mind. I like to ask, how could a dancer interpret fractals, or a musician explain Pascal’s Law? Designing curriculum with these cross-disciplinary connections is not as foreign as it sounds! I use the arts to tackle challenges that all teachers face, such as student engagement, differentiating for all learners, and teaching collaboration skills in project-based environments. Any teacher can use these arts integration strategies! One way I’ve successfully engaged my biology students in claim-evidence-reasoning practice is through mock patient interviews at the end of our neurology unit. Properly scaffolded, students get to demonstrate their understanding of neurological disorders through theatrical expression. For example, as student-physicians, they practice questioning patients, gathering evidence, and defending their diagnoses (see Figure 1). As student-patients, they figure out how to coherently express symptoms of a neurological disorder, such as retrograde or anterograde amnesia, aphasia, or prosopagnosia. Figure 1. During the mock patient interviews, students practice claim-evidence-reasoning skills with this scaffolded patient chart. I do a fair amount of scaffolding to help students develop a depth of knowledge for the disorders and also empathy for the patients. In fact, students spend two weeks learning about brain functions and neurological disorders before they are ready for mock patient interviews. Teaching students to become empathetic actors is just as important as their knowledge, and is a challenge I tackle with a homework assignment. Students choose one neurological disorder and write a reflection on its impact on the day-to-day lives of people who are affected (see Figure 2). What challenges might a person who has a neurological disorder face that a typical person might take for granted? What is daily life like for this person? In this assignment, students also reflect upon what it means to have a respectful bedside manner. I encourage them to find a balance between scientific fascination and humility when working with life; they hopefully recognize that there is space for humanity in academic pursuits. On mock patient interview day, students enter the classroom rife with excitement. They have looked forward to this day as a way to show me how much they have learned about the brain, and they get to express their learning creatively! I sit amongst the physicians as patients enter our office one by one. Students acting as patients take a seat in the center of our classroom, where all physicians have access to question and perform tests on them. I only occasionally facilitate with questions if the dialogue needs a bit of a push in a certain direction. Figure 2. The night before mock patient interviews, students complete an assignment that prepares them to represent a patient empathetically and accurately. One challenge with brain disorders is distinguishing one from another. For example, a person diagnosed with anterograde amnesia is unable to form new memories, while a person diagnosed with prosopagnosia has trouble recognizing faces. Complex questions arise, such as: if a patient does not recognize you, is it because they don’t remember your face, or they don’t remember having met you at all? In these cases, I prod the students to ask ever-more specific questions or perform cognitive tests on the patient. I have seen my students ask patients to draw an image on the board from memory, or even pull in other students to test a patient’s facial recognition abilities. 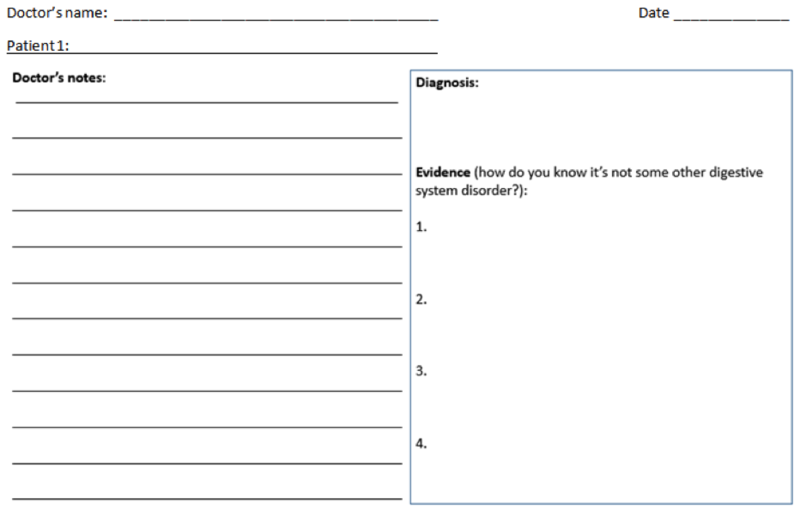 It is great fun to see what they come up with to test and rule out diagnoses! Another great teaching challenge that I address with arts integration is differentiating for all students in a heterogeneous learning environment. I have found that arts integration is especially powerful for learning when it is coupled with student choice (see Figure 3). When given options in their learning, students can engage with the material on their own terms. You can think of this as the ‘low threshold’ in the phrase ‘low threshold high ceiling’ commonly used amongst math teachers. Figure 3. Students choose a combination of projects to demonstrate their understanding of the geometric transformations. They may choose two mini-projects or one full project. For example, at the beginning of the geometric transformations unit, I let students decide how they wanted to demonstrate their understanding. Dancers interpret dilations, translations, reflections, and rotations in short choreographed pieces. Visual artists illustrate these four concepts with captioned comics (see Figure 4). Musicians wax poetic about the geometric transformations. However the ideas are expressed, each student engages in the same material but in very different modes. 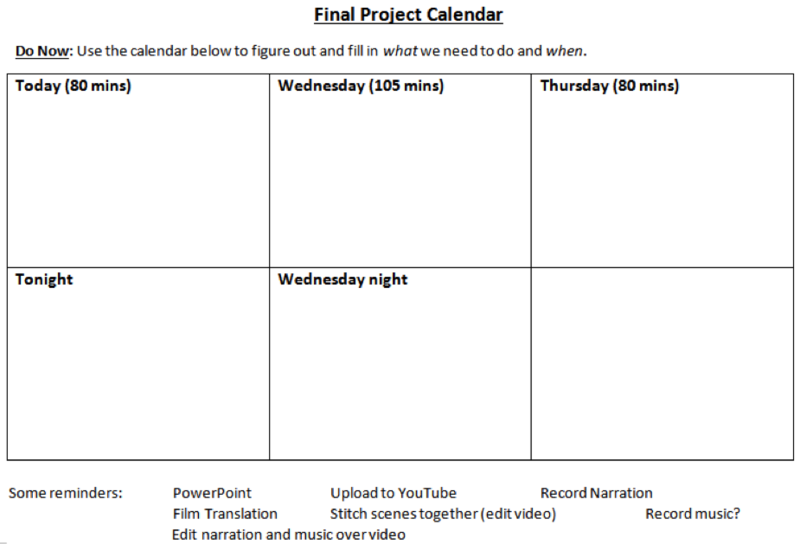 As you might imagine, creating rubrics for each of these projects would be a total time drain. So I don’t sweat it. The purpose of these options is for students to demonstrate a conceptual understanding of the transformations—not the technical details of how to execute them on paper, which I might assess with a traditional paper-and-pencil quiz. Through these projects, students can therefore meet the material on their own terms. When projects are due, we also get to build community by presenting and appreciating each other’s work! Another great pedagogical challenge: how do we teach students to work together on complex tasks? Many of us choose to assign students to specific lab roles such as recorder, materials manager, reporter, and so on. I have seen teachers take this scaffold a step further with group contracts. These strategies are useful and, I believe, necessary for some class assignments like time-sensitive labs. However, they can also stifle organic interactions by taking important decision-making opportunities out of students’ hands. 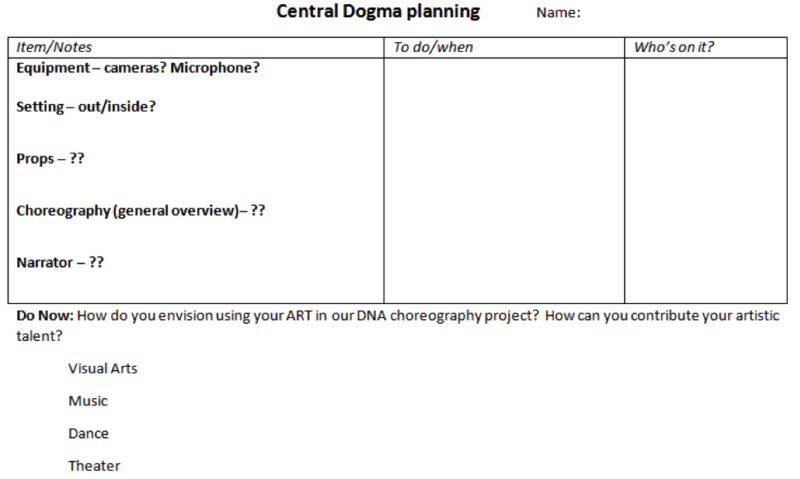 One answer I’ve developed to this dilemma is through my biology students’ “Central Dogma Choreography” project. I give students one week to create a three to five minute film that represents the flow of cellular information from DNA to RNA to protein. The week’s work serves as both a learning activity and summative assessment, since students have to identify and fix any misconceptions that arise throughout the choreographing process. In order to encourage complex group work, I add an additional challenge to the mix: students must work together as a class to produce just one film. I use the arts to tackle challenges that all teachers face, such as student engagement, differentiating for all learners, and teaching collaboration skills in project-based environments. Any teacher can use these arts integration strategies! When I introduce these parameters, hands immediately shoot up. Will we want narration? What about music? Who is going to act, and how will we physically represent DNA, the nucleus, transcription and translation on film? I allow students time to brainstorm their vision individually and then share out as a class (see Figure 5). Once those ideas start to congeal, other problems arise: who’s on props? How can we synchronise our choreography and music if they will be recorded separately? I let these questions pop up organically, just to the point where students are interested, but don’t have all the answers yet. When given a good balance of scaffolding and artistic freedom (more on scaffolding below), my students tackle the challenge with great zest! I think the most important part for them to understand is that they need each other to succeed, and that each person will and is expected to contribute a valuable skill. 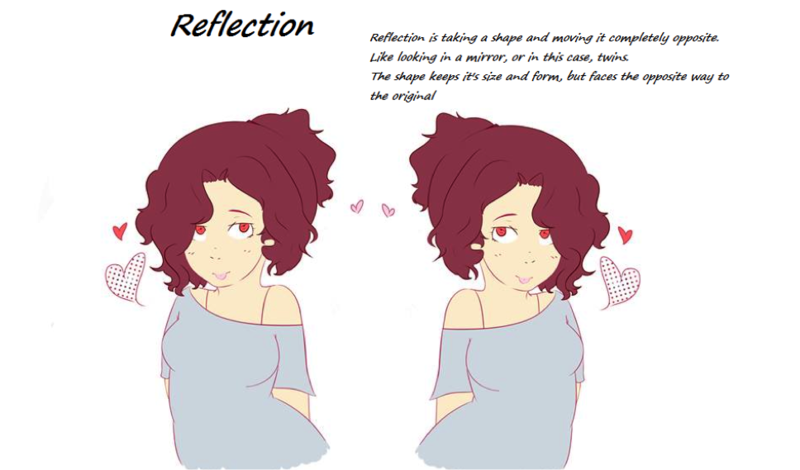 I therefore make sure students spend time thinking about how they envision themselves contributing to the project, and have them share these ideas publicly. Figure 5. Students brainstorm their project visions and potential contributions. Some people might be wondering at this point how we avoid a situation where a only few students are doing all the work. With this in mind, I give students a set of options to work from, and ask them to envision how their choice would make the class’s product come together (Figure 5). Some students may step up as directors and choreographers, while others choose to record music or write lyrics. Others feel more comfortable behind the scenes with props. Whatever their role, they have chosen it and have time to think about how their contribution is essential to the project. Our extended debriefing process is central to making this week work. I need all students to be on the same page when we discuss our progress, contributions, and expectations each day. There are three main strategies I use to ensure students are ready to work the moment they enter class. First, I set aside time each day for students to think about and articulate their design decisions with each other. At the beginning of each class, students look at the calendar of remaining days along with a list of potential tasks (see Figure 6). The ‘Do Now’ assignment is to write in the tasks they want to prioritize for the following days. We spend the first 20 minutes of class setting goals and organizing roles, which is facilitated by their Do Now (see Figure 6). My second strategy is to have student leaders facilitate these class debriefs. When students lead their peers, it creates an environment where peers start holding each other accountable. Finally, I require student debrief sessions to start with shout-outs to each other. This sets a positive tone before we get into nitty-gritty details of what needs to be done as the deadline looms. Through this extended debrief process, students practice listening to each other and compromising on important decisions. I’ve actually been surprised to see that the theater students don’t necessarily demand to direct or act in the film. While they are willing to take on these roles, I have been pleased to see people step up and step back as they negotiate their responsibilities with each other. This past year, a trio of directors emerged: a musician, a thespian, and a dancer. A visual artist worked on the voiceover narration, and the rest of the students fell into filming, props, music recording, and editing. I always stop the students’ work 20 minutes before class ends for clean-up and a whole-class debrief. This student-led discussion is intended to figure out what adjustments will need to be made. With the deadline looming and idea implementation in full swing, students learn accountability, complex task management, and cooperation skills. Figure 6. Students prioritize the work they think should be done that day in a blank calendar. I modify the reminders on the bottom based on their previous day’s accomplishments and their stated goals. I can imagine a few readers wringing their hands at this point. No rubric? Letting students run the show for a whole week? What if the patient interviews get derailed with irrelevant questions or overly exuberant acting? As you might imagine, integrating arts into academics asks teachers to relinquish some control over their classrooms. This is scary. As a type-A planner, I get it. There are days when I fret over how to manage the creative process—are they goofing off, or do they just need space to think outside the box? Or, are these two processes in fact mutually exclusive? The reality is that there are days when I don’t think explicitly about big STEAM projects because I need to focus on standardized testing. For me, though, the risks are totally worth it. My goal is to use the arts to improve my teaching in three ways: increasing student engagement, differentiating for multiple learning abilities, and teaching team-work skills. In fact, I feel that I am just scratching the surface of STEAM teaching. There are endless directions I could explore. For example, I could use common language with the arts faculty to teach growth mindset. In some ways, it is easier for students to track their own growth over time in their arts practice. How, then, can I help students recognize that their growth is not limited to the arts, but is present in whatever they choose to practice? So far, I have used the arts as a currency to engage my students in math and science. Another STEAM avenue to explore is how and when to apply scientific thinking to the arts. I wonder what might happen if STEM skills cross-pollinated the arts world. What kinds of design connections could students make if we asked them to think like engineers when creating an arts piece? Or could students use their arts to take a stance on public issues, such as urban planning, genetic engineering, and space exploration? With STEAM thinking, the possibilities are endless! 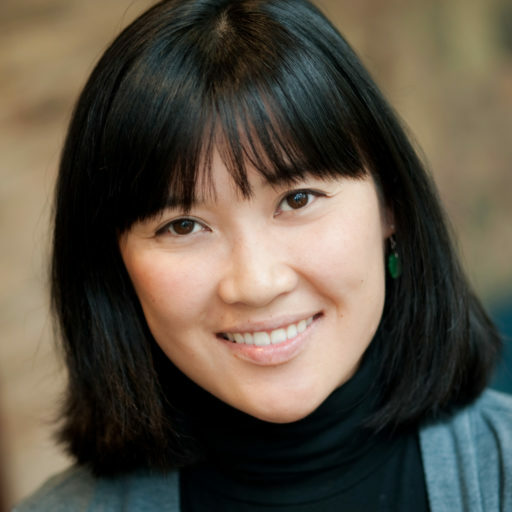 Angela Lou, a 2012 Knowles Teaching Fellow, is a part of the STEAM department at Boston Arts Academy in Massachusetts. She teaches biology, geometry, and engineering, in addition to leading an advisory and co-teaching a reading and writing class. Reach Angela at angela.lou@knowlesteachers.org. Lou, A. (2017). Arts integration in STEM. Kaleidoscope: Educator Voices and Perspectives, 3(2), 7–11.